Successfully Added USB3.0 to 2.5" 3.5" HDD Hard Drive SATA IDE Adapter Converter W/ Power Cable OTB to your Shopping Cart. 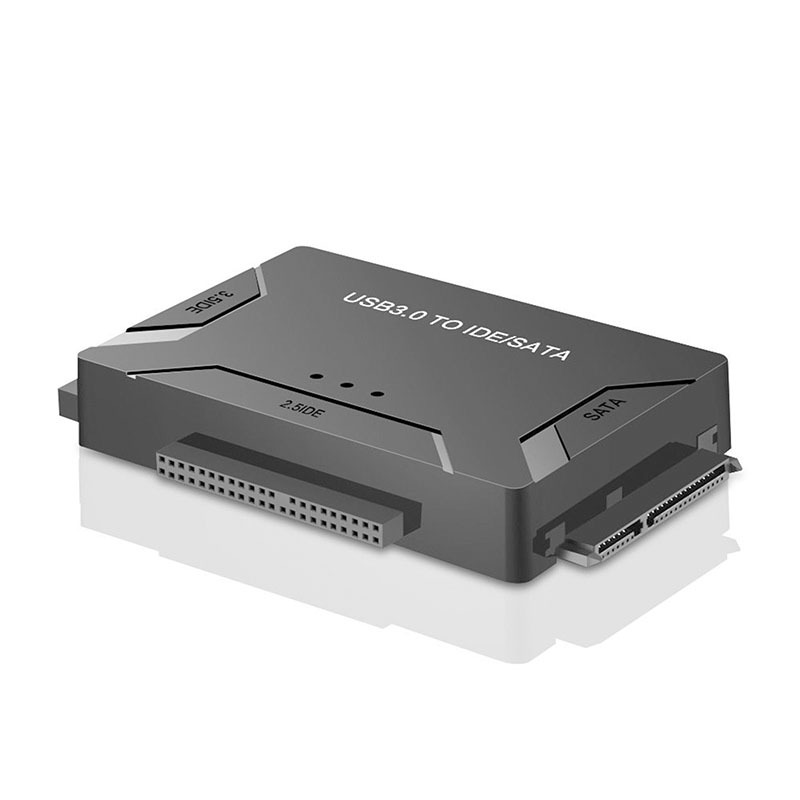 This USB SATA adapter enables access to all three HDD drives simultaneously or file transfer among the 3 drives. It supports 2.5"/3.5" SATA HDD and SSD; 2.5"/3.5" IDE HDD; DVD-ROM, CD-ROM, CD-RW, DVD-RW, DVD + RW. With USB 3.0 interface, data transfer rates up to 5 Gbps. The USB 3.0 interface is also backwards compatible with USB 2.0 / 1.1. Up to 4TB capacity of the drives supported. Plug and Play, easy to use. Universally compatible with Windows 10/ 8.1/ 8/ 7/Vista/XP, Mac OS 9/ 10, Linux etc. Supports drives with a capacity of up to 4TB. Support speed up to 5Gbps. Backward compatible with USB 2.0/1.1. On/Off Switch for HDD protection.